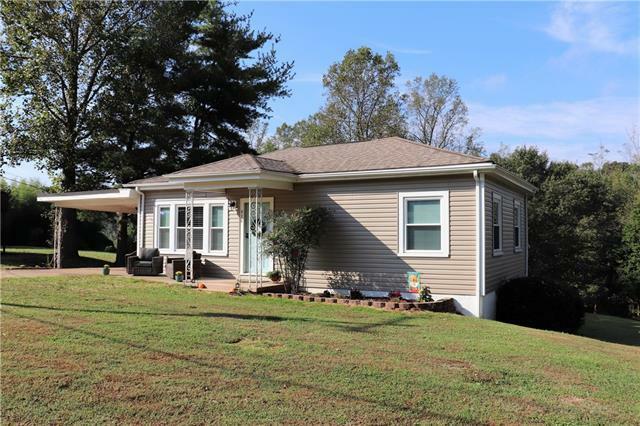 Charming 2 Bedroom, 1 Bath Home with a basement on an Acre in southwest Hickory. Replacement windows in 2016. Kitchen flooring in 2017. New vinyl siding and gutters in 2018. Remodeled bath with new flooring, new tub/shower, and new vanity. Roof installed in 2010 and HVAC in 2013. No carpet. Wood and laminate flooring. Large walk-in closet off the bathroom. Partially fenced back yard. Schedule a showing today!